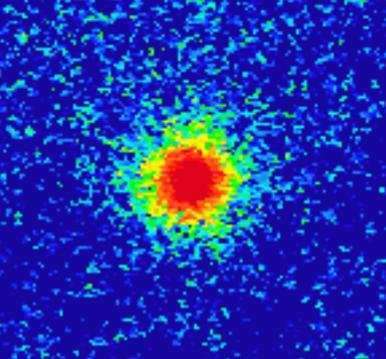 Scientists have for the first time been able to estimate the amount of radioactive cesium-rich microparticles released by the disaster at the Fukushima power plant in 2011. This work, which will have significant health and environmental implications, is presented at the Goldschmidt geochemistry conference in Boston. The flooding of the Fukushima Daiichi Nuclear Power Plant (FDNPP) after the disastrous earthquake on March 11 2011 caused the release of significant amounts of radioactive material, including cesium (Cs) isotopes 134Cs (half-life, 2 years) and 137Cs (half-life, 30 years). Initially scientists thought that all Cs was released in soluble form. Now however, they have realized that a part of the released Cs was in the form of glassy microparticles, formed at the time of the reactor meltdown; these particles were thrown over a wide area, but until now there has been no reliable estimate of how much radioactive cesium-rich microparticles was deposited in the surrounding area, and how this material was distributed. Now a group of international scientists, led by Dr. Satoshi Utsunomiya (Associate Professor of Kyushu University, Fukuoka, Japan) has been able to give the first accurate estimates of the amount of the radioactive microparticles in the environment. This work describes the significance of the microparticles to current radiation levels, and provides fundamental data for a future re-evaluation of health risks from the highly radioactive microparticles which remain in the local environment. "Most of the glassy microparticles are only a few microns in size, and were spread alongside the soluble cesium. The soluble cesium is generally bound to clay minerals after wet deposition, with the clay minerals also forming particles, so it was difficult to distinguish the cesium-rich microparticles from cesium absorbed on clay." said Dr. Utsunomiya, "However, we realized that the cesium-rich microparticle has an extremely high radioactivity ~1011 Bq/g compared with the much lower radioactivity for cesium-sorbing clay particles, and this can be used to distinguish the two types. So we have established a novel procedure to quantify the cesium-rich microparticles by applying a quantitative autoradiography method". Autoradiography exposes a photographic film or detector to a radioactive source, which causes the radiation to show up on the film (medical X-rays is the most common autoradiography technique). The team determined the threshold radioactivity for Cs-rich microparticles in the sieved fraction based on the relation between photostimulated luminescence signal and radioactivity. They applied this method to soil samples from 20 affected areas. Dr. Utsunomiya continued "In certain areas, these glassy particles are highly concentrated, so they are a major concern. We have found up to 318 of these particles in just 1 gram of soil, near the Fukushima Daiichi power plant. Most of these particles are still in the ambient environments, indicating the high stability. Since the Fukushima accident we have been gradually coming to understand how the microparticles were distributed, and what this might mean to health and the environment. As you would expect, there are more radioactive particles nearer the reactor: we believe that there was a proportion of cesium released as soluble material, but we have found that the area south of the reactor contains a higher proportion of glassy particles. Our estimate is that around 78% of radioactive cesium was released as glassy particles. Many of the microparticles have been washed down from roofs and from plants, and have now gathered in radioactive hot spots. Now that we have a better idea of the quantities involved and how the radiation has been distributed, it gives our team a better idea of how to approach the effect on health, which is obviously a major concern. This work does not imply that there is any additional radiation which has been missed—the total amount of cesium released at Fukushima remains the same. However, the glassy particles have concentrated the radiation, which means that there is still much new work to be done to understand how this concentrated radiation might affect health"
"The idea of microparticles has not been 'missed' in the assessment of total cesium levels in soil after Fukushima; it has been included, although this work highlights the fraction found in cesium microparticles. So we shouldn't think that there is additional radiation to worry about, but nevertheless in this highly concentrated form it may have different health impacts. These researchers have done a fine job of developing new tools to quantify these microparticles, and that is an important story to tell"
Gosh, how can this be? Thorium Betty and the rest of the Atomic Priesthood of Linn PROMISED us that there were only negligible and benign fallout possible from the Fukushima Daiichi Nuclear Power Plant! They did promise a money-back guarantee if we include our Soc.Sec. number and bank account routing numbers on the order form for "Radioactive Salts" food supplement. "Just give a good sprinkle on your meals and in no time at all you will be the "glowing" picture of perfect health!" I am heartbroken... How can we believe anything they ever have to say again? Oh wait! They are bamboozling con artists without scruples or morals. Selling defective products to a gullible public. Who fail to grasp that the Nuclear Cartel has us all by the short and curlies. And are not afraid to threaten extortionate retaliation if we close down their racket. 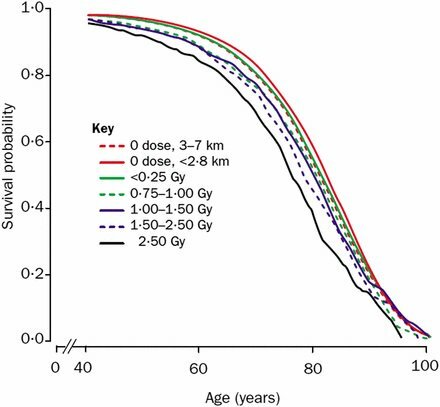 And as yet there are exactly **ZERO** deaths attributable to radiation from Fukushima (although there are quite a few associated with the thoroughly mismanaged evacuation). Zero. Zip. Nada. Ninguna. For some folk, it could take 10, 20 years for the effects of radioactive poisoning to show up. The cells in their bodies may already be compromised, as well as their immune systems. At a distance from the source of radiation, the effects could go either slowly or fast, depending on individual metabolism, adaptation, and other factors. For some folk, it could take 10, 20 years for the effects of radioactive poisoning to show up. "What happened to the radiation that was supposed to last thousands of years in Hiroshima (1945)?" "The leukemia incidence of 96,000 Hiroshima atomic bomb survivors is compelling evidence that the LNT model is wrong." 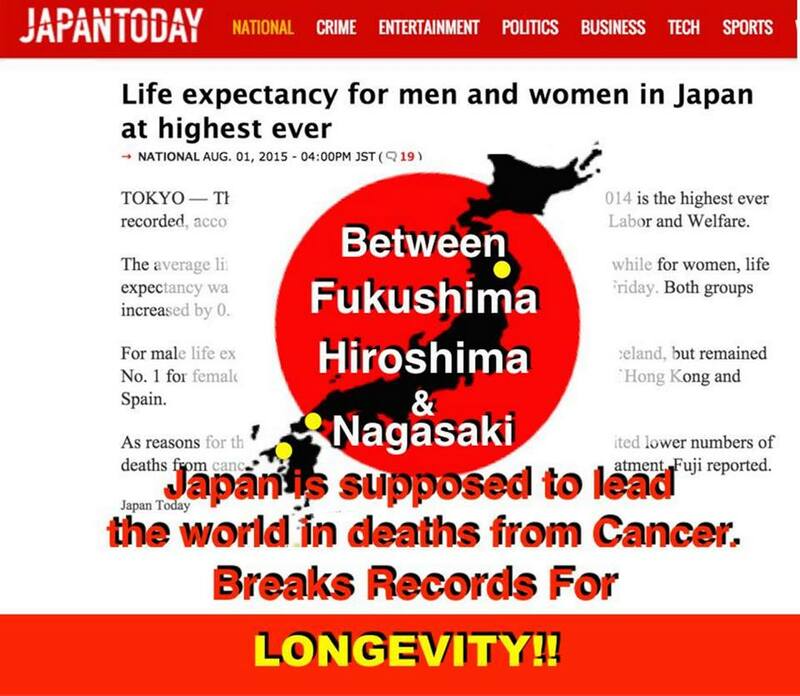 "Life expectancy for men and women in Japan at highest ever"
Hiroshima&Nagasaki survivors and longevity is a proof that LNT model is wrong. 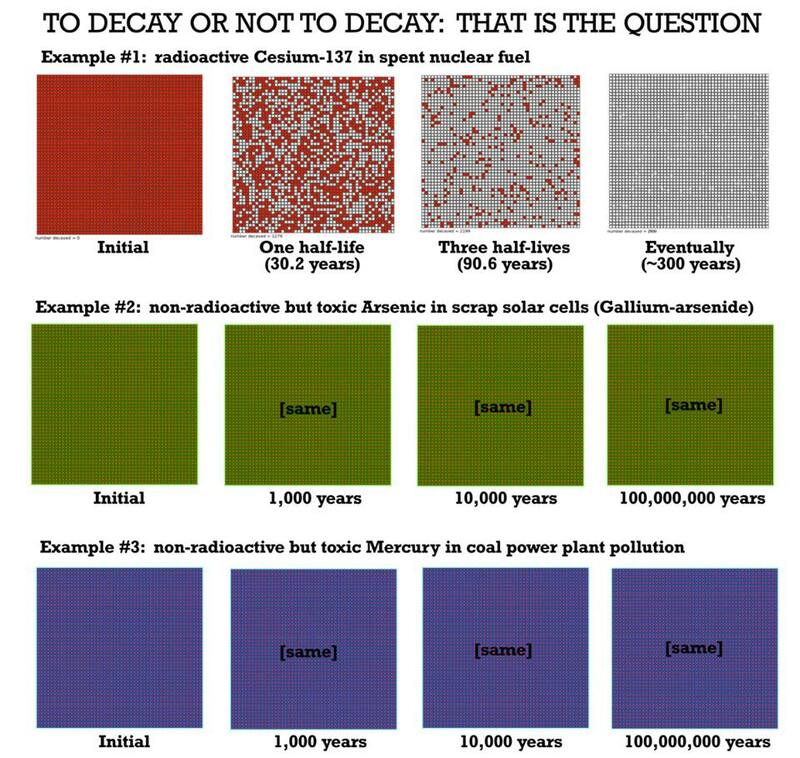 "..alpha radiation from naturally occurring Polonium-210 is more damaging to biological tissues than gamma radiation from Cesium-137." Humans were removed from the area first by a tsunami and then by a 1,256 square kilometer exclusion zone. Zero deaths is therefore not much of a confirmation of the safety of the accidental release of radioactive materials. It could simply mean that size of the exclusion zone was adequate. Also, deaths could continue to occur decades in the future because of the sometimes slow nature of cancer. So what was your point exactly? Even if it were true all the thousands of deaths that antinuclear fearmongers(fossil fuel lobbyists) insist to sustain with only biased/inconclusive studies without practical evidences, even so carbon-free nuclear power is still the safest per unit of energy produced. Air pollution from fossil fuels(backup for intermittent renewables) respects no border and kills millions of people every year. Notice: wind and solar are inherently intermittent, they don't in fact displace fossil fuels, they are addicted to coal/oil/gas to compensate intermittencies. 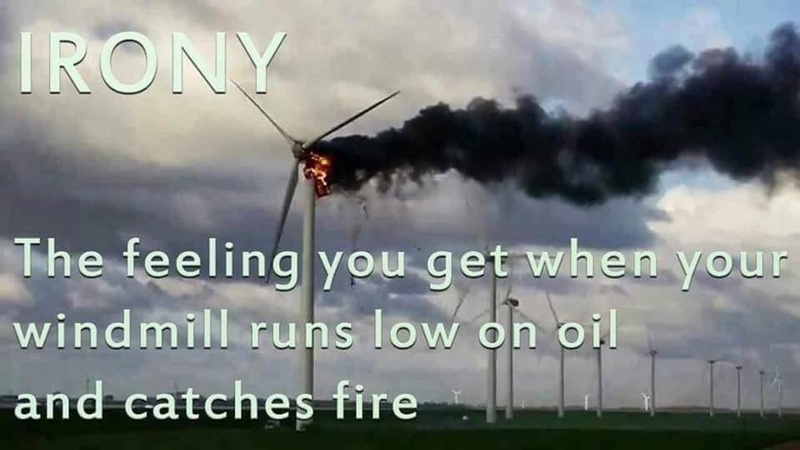 So wind and solar, by providing "greenwashing" (decorative facade) for fossil fuels, are as deadly as fossil fuels. "Even the worst nuclear accidents result in far fewer deaths than the normal operation of fossil fuel power plants." "Ironically enough, however, solar power is far more dangerous than nuclear, even in a year when an accident like the disaster at Fukushima occurs." 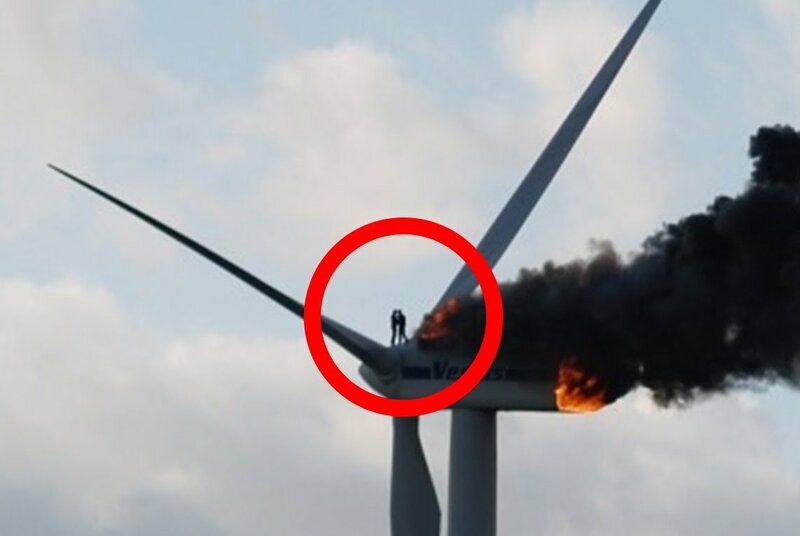 "While few would contend that turbines are a major threat to public safety (most deaths and injuries are suffered by those transporting, erecting and maintaining turbines), the wind industry is marked by both a reluctance to admit to accidents and a tendency to cover up the failings of the technology." Has the nuclear industry calculated total risk, including integrating the risk forward centuries for the storage of nuclear waste? Do the risk calculations include abandoned uranium mines poisoning water or, in the case of large wildfires, the atmosphere? How about the risk of heatstroke deaths during heat waves when nuclear plants have to shut down because of reduced volumes of warmer coolant water? What I'm seeing from you, Willie, is a bunch of cherry-picked statistics that carefully avoid a full cradle-to-grave risk analysis. Commercial nuclear waste has killed no one, it is tiny and safely stored, and emits less radiation than a bunch of bananas, while wastes from windmills and solar panels are full of arsenides and other chemical carcinogens that never lose their toxicity with time and are dumped directly into the environment with no regulations. "Nuclear Waste: Ideas vs Reality"
"Uranium is a by-product from copper, phosphate and rare earth mining." "Copper is a major element for renewable energy"
"Top Scientist Says Japan's Decision To Financially Reward Fukushima Worker Is Not Based On Science"
"There are No "credible" scientists making the claim that thyroid cancers in Japan can be attributed to radiation"
"Why Fukushima Worker's Cancer Death Was Nothing To Do With Trivial Radiation Exposure"
"Mainstream society suffers from superstitious radiophobia. Fossil-fueled air pollution kills 7,000,000 annually. The Fukushima tsunami killed 16,000. Stress from the wildy excessive evacuations reportedly killed more than that." "Exposure to solar radiation kills as many as 18,000 Americans per year." 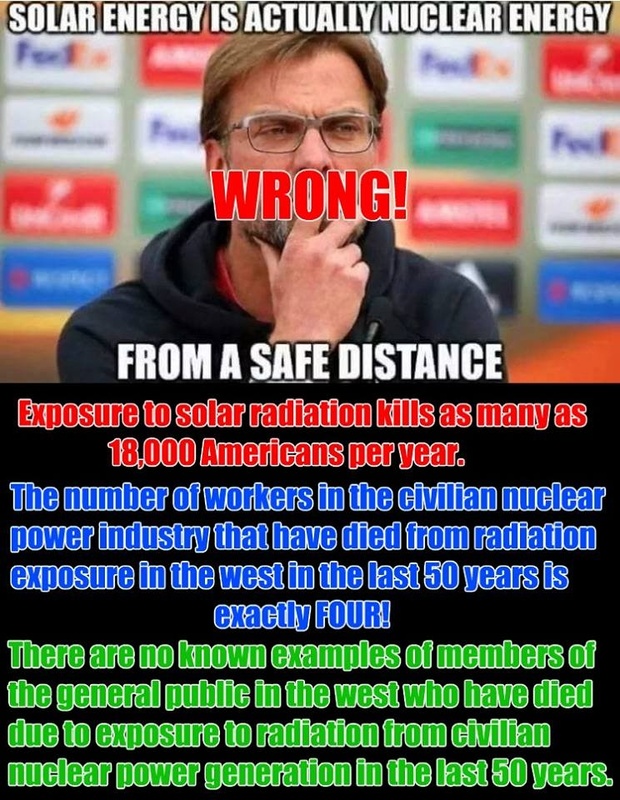 "There are no examples of members of the general public in the west who have died due to exposure to radiation from civilian nuclear power in the last 50 years". 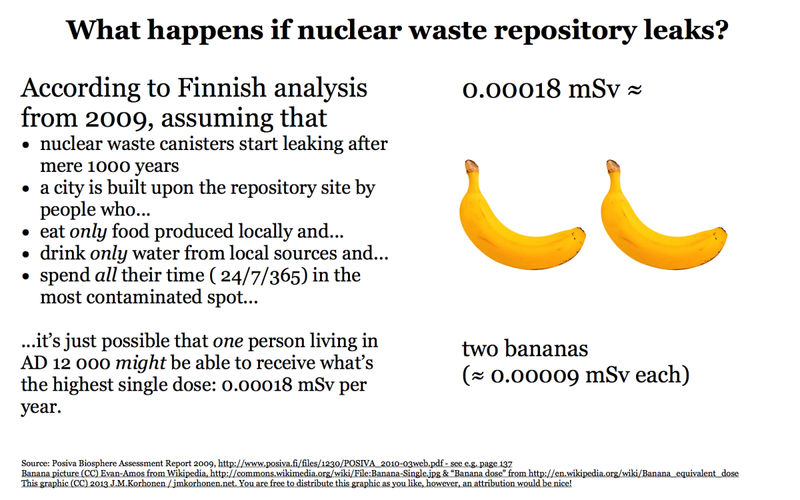 Commercial nuclear waste has killed no one, it is tiny and safely stored, and emits less radiation than a bunch of bananas"
Oh really. There are 6 different types of nuclear waste: Low-level waste (LLW), intermediate-level waste (ILW), high-level waste (HLW), spent nuclear fuel (SNF), transuranic waste (TRU), and certain byproduct materials (11e(2). Spent nuclear fuel is so radioactive that it is stored on-site in pools under 20 feet of water. It is too dangerous to move the fuel rods through the air from the reactor to the pools, so instead they are moved through water canals. Last time I was in a store, the bananas were sitting on a shelf, not in a twenty foot deep pool. If there's one thing the liar WillieWard can do, it's telling lies. Spent nuclear fuel is so radioactive that it is stored on-site in pools under 20 feet of water. By swimming back and forth uninterruptedly in a spent fuel pool, you will surely die from fatigue/drown rather than radiation. Almost all against carbon-free nuclear power isn't based on science/facts, it's all based on scare tactics. 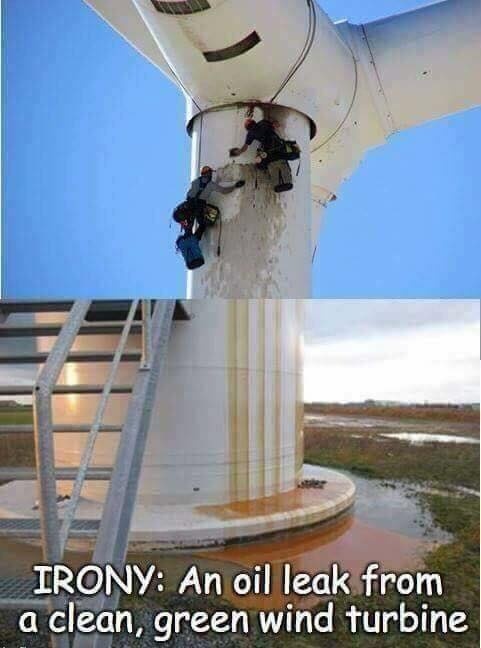 More people died by installing rooftop solar panels or performing maintenance on wind turbines, mainly when the oil for lubrication catches fire, than swimming in nuclear spent fuel pools. From your own XKCD link, "Swimming to the bottom, touching your elbows to a fresh fuel canister, and immediately swimming back up would probably be enough to kill you." So you've gone from insisting that nuclear waste is safer than a banana to accidentally proving some waste is fatal after a momentary touch. And that's why we call you WilLIEward. Did you read further in that link about the diver that picked up an innocuous-looking piece of tubing from the bottom of a pool in the Leibstadt nuclear reactor in Switzerland? It's a great read. He could have died. 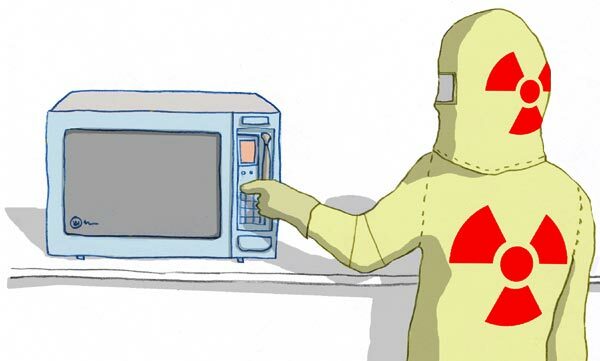 Inside a microwave oven, according to some experts, the microwave radiation can reach "unimaginable" levels enough to kill you in few seconds, so please do not put your head inside a microwave oven. "A nuclear-power plant is infinitely safer than eating, because 300 people choke to death on food every year." Try to keep up with the times, WilLIE. "infinitely safer" has already been proven wrong within this very thread, i.e. the death of the Japanese nuclear worker. Or is it simply impossible for you to stop lying? While there is no reason to stick one's head in a microwave, there are reasons for divers to enter nuclear pools. 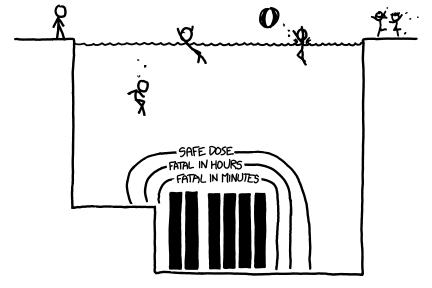 You yourself provided an XKCD link to one such story in a different comment thread, although I bet by now you regret linking to it. A diver was directed to pick up some discarded tubing from the bottom of a pool and received a dose of radiation to his hand that would have been lethal had had it been to internal organs instead. Carbon-free nuclear is "infinitely safer", no has died from commercial waste. 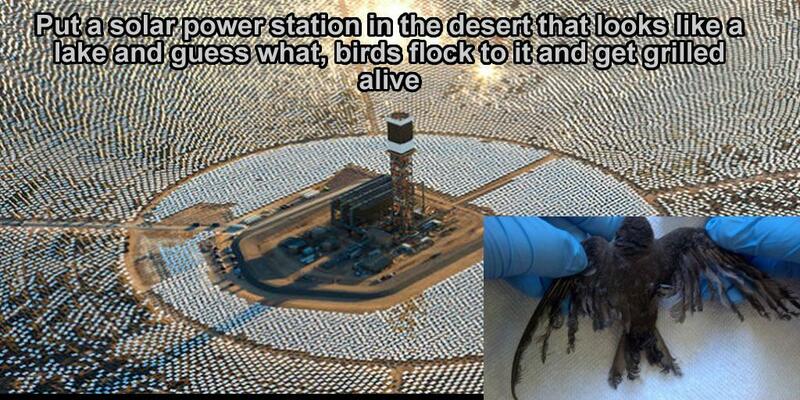 Thermal radiation in a CSP(Concentrated solar power) can reach unimaginable levels and it not only kills birds/bats but has killed people too. Nuclear ………………….. 0.04 deaths / TWh"